I'm here to share another little CAS card with you! 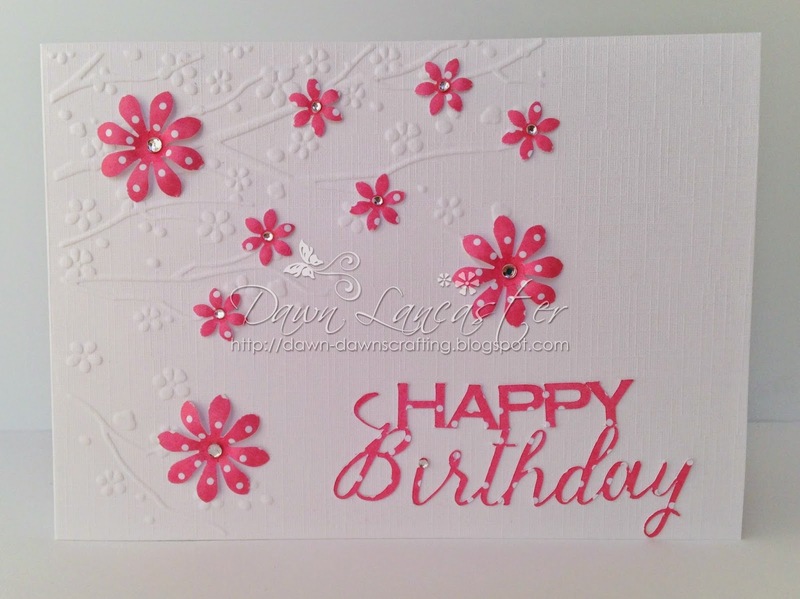 I used the lovely Crafts Too, Cherry Blossom embossing folder on the bae card. from Anna Marie Designs, then shaped with an embossing tool. & a Happy Birthday sentiment cut out using my Cameo! I'd like to enter this card in a couple of challenges! 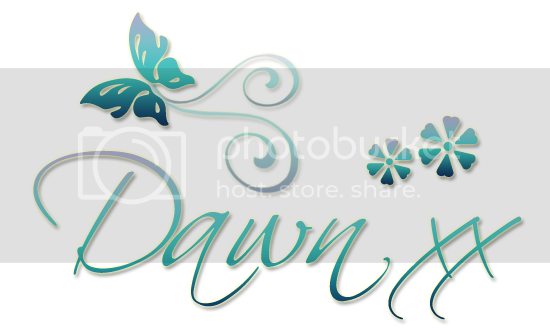 Oh Dawn this is so beautiful and elegant. I love the beautiful embossed background and blossoms. Such a pretty CAS card Dawn, I love your spotty daisies and sentiment. Great CAS card - I find these cards really pretty - no clutter - great design! Such a pretty CAS card...fabulous. Love thos repink flowers on the embossing. Thank you for joining us at Crafty Creations Challenges!